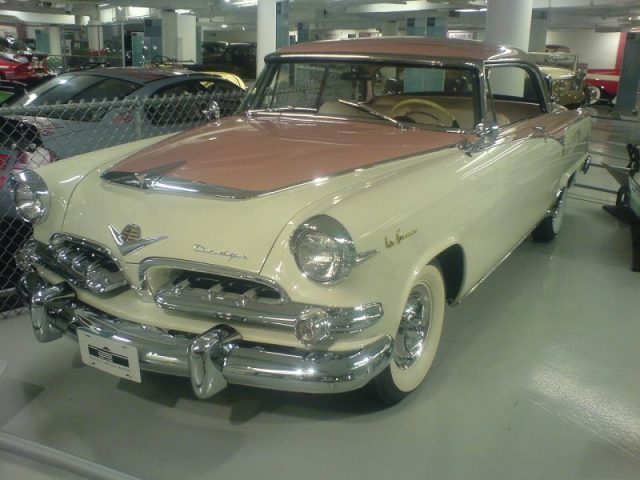 In a bid to meet the growing demand of women interested in the automobile industry, American automobile manufacturer Chrysler rolled out the first car specifically designed for and marketed to the female market, in 1955 and 1956. 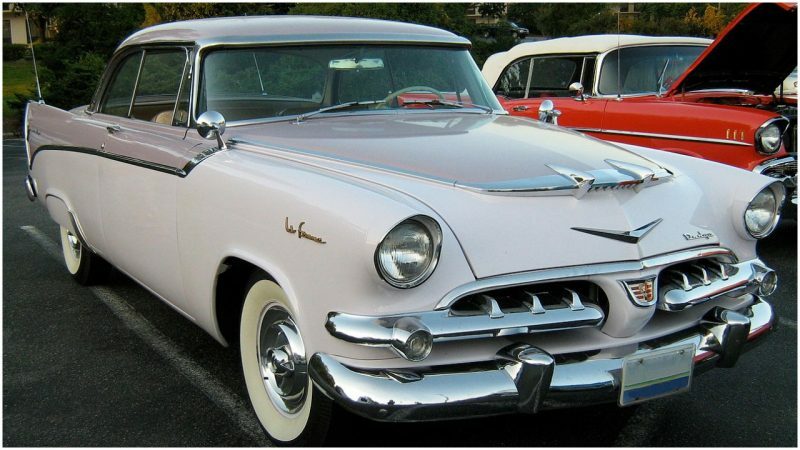 Named the Dodge La Femme, this sassy car sported a Heather Rose and Sapphire White two-tone exterior and came complete with a matching set of accessories that, Chrysler hoped, every girl-about-town would want to be seen with. 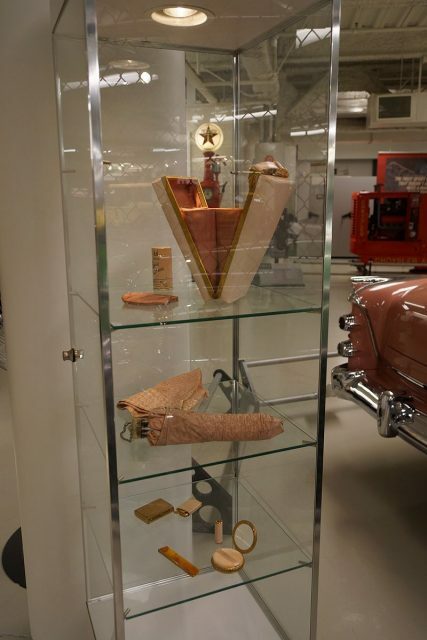 Touted in the marketing brochure as “America’s most Glamorous Car — Designed With the Ladies in Mind,” according to Fashion, Design and Events edited by Kim Williams, the first car designed for the “modern American woman” might also be seen as a reflection of societal attitudes and the prevalent gender inequality of the era. In his book Dodge 100 Years, Matt DeLorenzo explains that the inspiration for the La Femme came from Chrysler’s 1954 his-and-hers show cars: Le Comte and La Comtesse. The manufacturer was encouraged to improve on the La Comtesse concept by great reviews from would-be buyers, which gave birth to the Dodge La Femme. 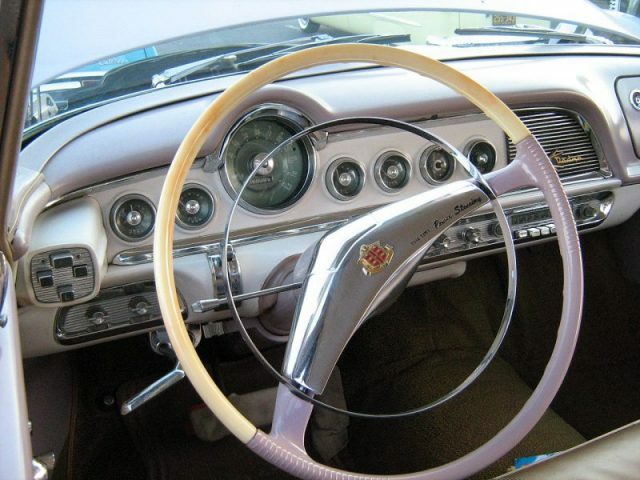 Upholstered in pink rosebud tapestry with pale pink vinyl trim, the 1955 La Femme came with a unique calfskin purse that fitted neatly into a special storage bin in the rear of the passenger seat. 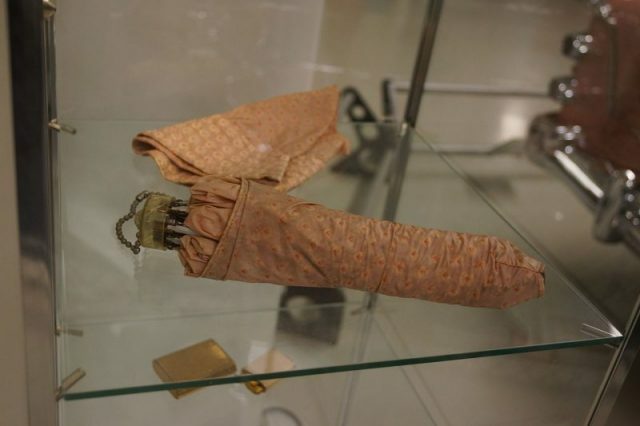 Both the purse and its contents — a powder compact, lipstick case, coin purse, comb, cigarette case and cigarette lighter — were designed by Evans of Chicago. 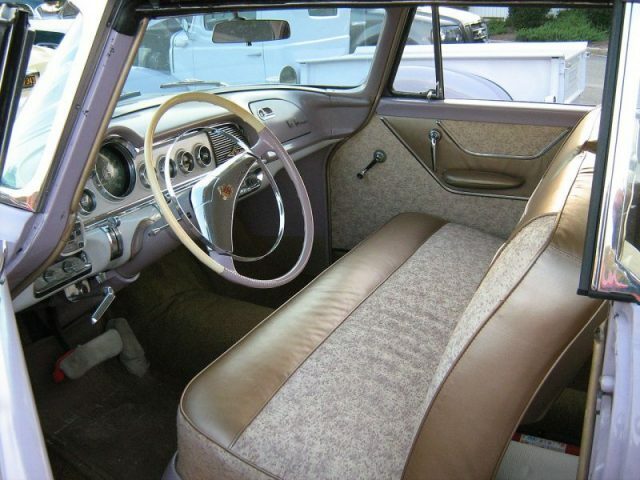 This perk was not, however, offered with the 1956 version. Also, stowed in a similar built-in compartment on the driver’s seatback, was a raincoat, rain hat and umbrella — all, of course, in rosebud pink to match the car’s interior. Chrysler chose not to continue production of this unique car the following year and the La Femme has since been forgotten in automobile history. 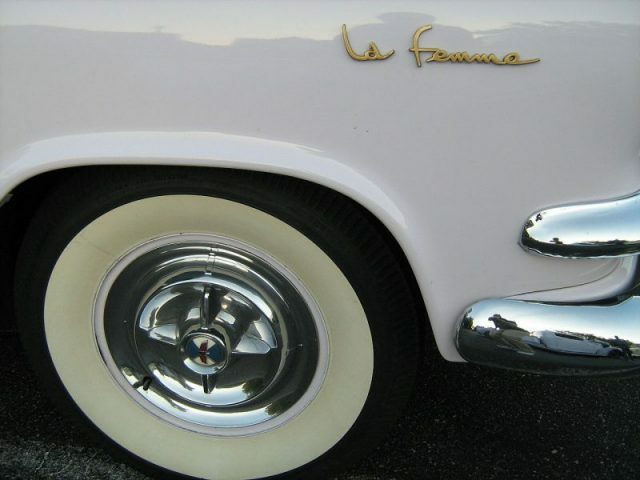 The exact number of La Femme packages to be manufactured is difficult to determine, although estimates suggest that no more than 2,500 left the showroom. There are at least 60 known surviving examples. The bottom line is the Dodge La Femme wasn’t a hit compared to preceding models and didn’t sell much. Some believe that the market strategy employed by the manufacturer was the reason for the terrible sales, as they made use of cheap three-fold single-sheet pamphlets to advertise the car rather than shiny demonstration models. Perhaps it was simply that most Americans households were not aware of its production at the time. 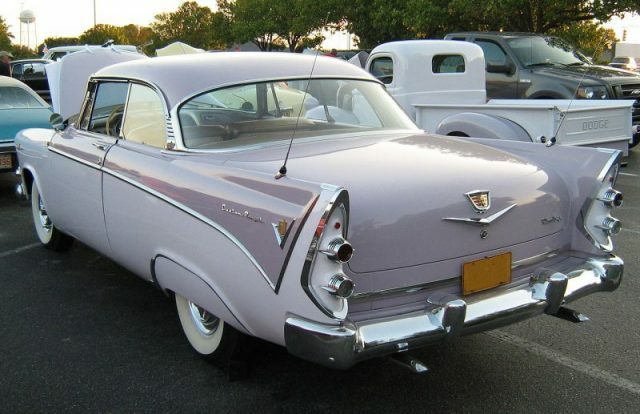 Aside from Popular Mechanic’s July 1955 article “Dodge’s LaFemme is First Automobile with a Gender,” there was little advertisement through print, radio or television.